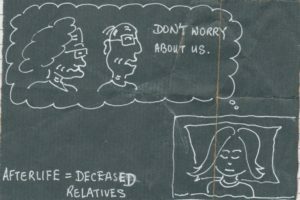 Meaning of dream of afterlife. If you dream of the afterlife, it does not mean you are going there soon. The afterlife theme comes when you have been wondering about spiritual topics. You may have been reading religious books. Your input of stimulus during waking hours, can influence your dreams during sleep. 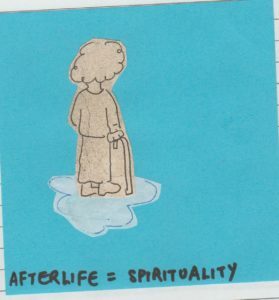 Older adults in their twilight years may be reading and thinking more about afterlife. This may be the reason why they may speak about dreaming frequently about afterlife/ the Other World/ Netherworld. List of posts related to afterlife.